Rustic meets modern in this incredible townhome-style condo: high-end upgrades shine throughout! Premium wood-look flooring, soaring vaulted ceilings, custom distressed wood features, wood-burning fireplace w/ exquisite stacked-stone & abundant natural light. Remarkable layout features a main-floor bed w/ en suite, upper level master w/ balcony & a loft, perfect for office or playroom. Beautifully refinished kitchen presents modern grey cabinetry w/ interior lights, gorgeous granite, tile backsplash & a breakfast bar w/ pendant lighting. Adjoining casual dining area is appointed w/ a custom shiplap wall. Upper lever master offers a spacious walk-through closet & a 4-piece bath w/ a new marble-topped vanity & tasteful finishes. Fantastic, well-maintained community w/ private amenities that include a pool & clubhouse. Ideally located in the award-winning Cherry Creek school district, close to Willow Spring Open Space, Holly Park & Tennis Club, DTC & an array of dining & shopping options! Listing provided courtesy of The Steller Group, Inc.
SchoolsClick map icons below to view information for schools near 6761 South Ivy Way #B2 Centennial, CO 80112. 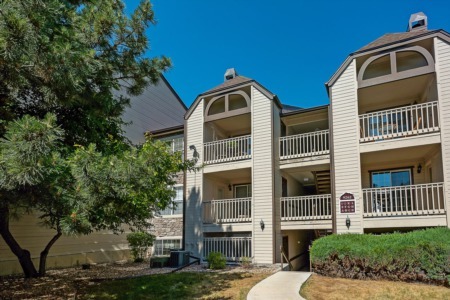 Home for sale at 6761 South Ivy Way #b2 Centennial, CO 80112. 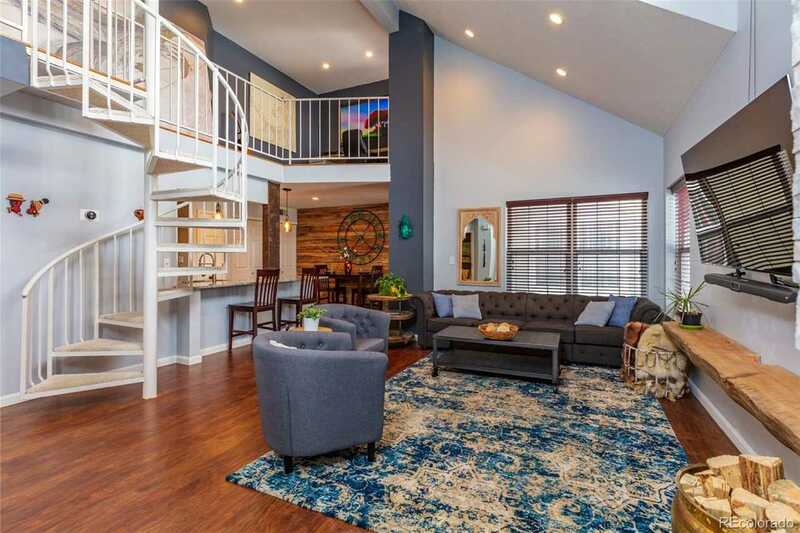 Description: The home at 6761 South Ivy Way #b2 Centennial, CO 80112 with the MLS Number 2005489 is currently listed at $315,000 and has been on the Centennial market for 70 days. You are viewing the MLS property details of the home for sale at 6761 South Ivy Way #b2 Centennial, CO 80112, which is located in the Olde Mill subdivision, includes 2 bedrooms and 2 bathrooms, and has approximately 1321 sq.ft. of living area.